Malarkey Roofing Products has manufactured quality roofing products for over fifty years. We offer a full line of residential roofing products and one of the most advanced lines of commercial roofing systems. Our products are made at one of two locations; Portland, Oregon and South Gate, California. At Malarkey we are known for product innovation, high quality standards, exceptional customer service and expert technical support.  Chandler's Roofing proudly features and installs quality roofing materials supplied by GAF Materials Corporation, North America's largest manufacturer of residential and commercial roofing products. As the leading Master Elite Contractor in Southern California, Chandler's Roofing is able to offer you unparalleled roof warranty options and unbeatable workmanship.